Time Calculator For Pilots — Aviation Mobile Apps, LLC. Time Calculator For Pilots is an easy to use App for making time-related calculations. Whether you're working on a navigation log, dividing up rest breaks for multi-crew cockpits, or trying to figure out how many flights to the same destination you can fly before going illegal, Time Calculator for Pilots can help. 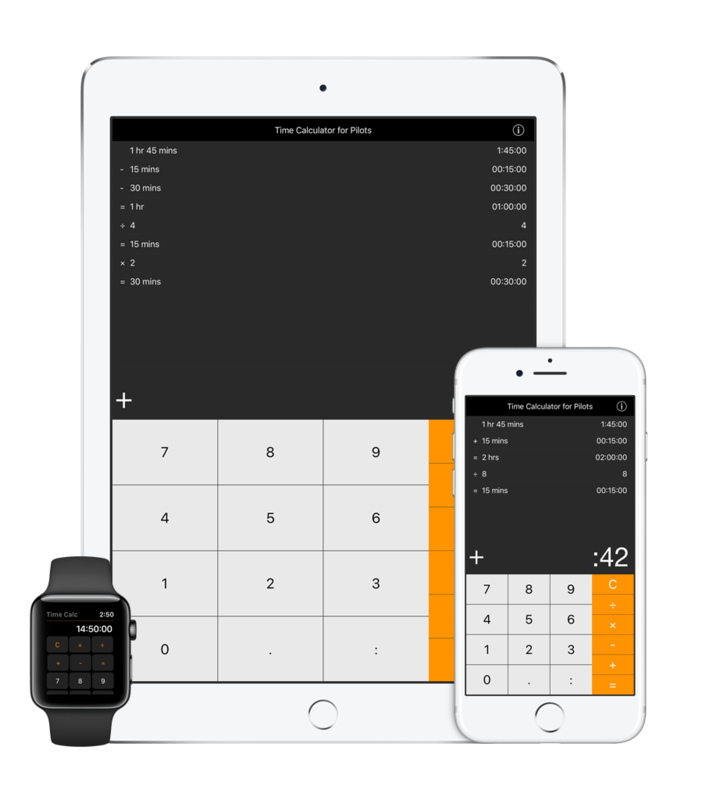 The app supports quick data entry of hours, minutes and seconds, features an adding machine style history tape, supports copy and paste, addition, subtraction, multiplication, and division. It also has built-in help videos, and it synchronizes with your Apple Watch! This App is a pilot essential, download today. 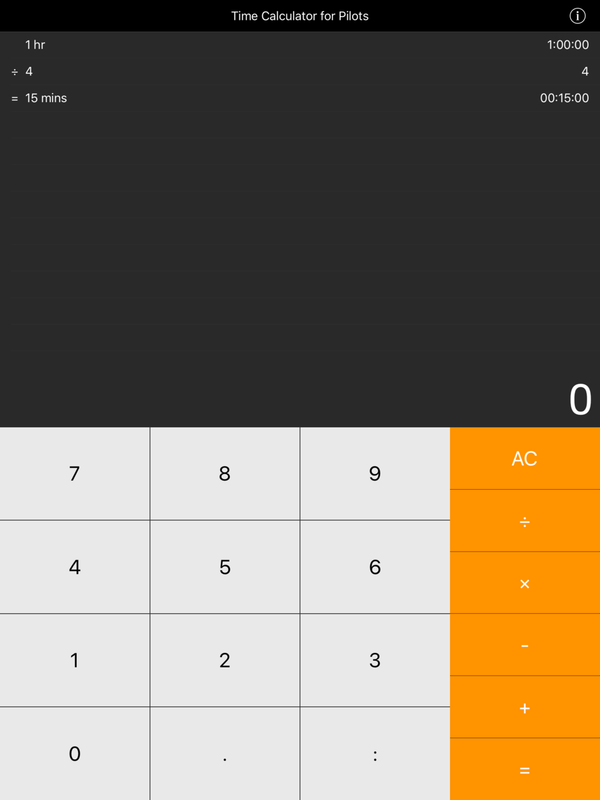 If you are looking for a no-hassle method to calculate time, then this app is for you. © 2017 Aviation Mobile Apps, LLC.